Collect all 5 trendy peacock series necklace now! Who says Monday is dull and boring? 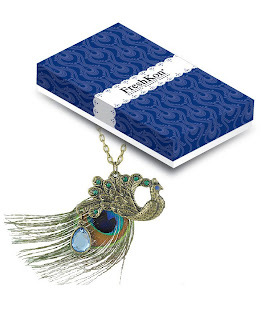 Check out this gorgeous trendy peacock necklace. Together with a pair of FreshKon Alluring Eyes, it enhances your whole look for the day!